Noshu cake mixes are an easy and convenient way to celebrate a special occasion or make an everyday treat. They taste, bake, and look just like a normal cake, but without the nasties. We have prepared an easy step by step guide for you to follow to make sure your cake looks and tastes amazing. The steps below are the same for both the Rich Chocolate Cake and the Vanilla Velvet Cake so choose your favourite flavour and happy baking. Preheat the oven to 170°C (160°C if fan forced). Adjust your oven shelf to be set to the middle height. Grab your 20cm x 7cm (8 inch) baking tin, baking paper, and scissors. Cut a square of baking paper large enough to cover the base of your tin. If you have a spring form tin (the base is removable), remove the bottom and fold the baking paper over this, tucking the ends at the bottom and place back in the tin. Now use oil spray to coat the inside of the tin evenly. If your cake tin base is not removable, trace the bottom of your tin on the baking paper with a marker. Then use scissors to cut this out. Spray oil directly onto the base and inner sides of the tin. Then place the round of baking paper onto the base. Gather and weigh or measure your wet ingredients. You will need 3 whole XL (59g) eggs, 1 cup (250ml) of milk, and 120g of melted butter. For a non-dairy option, replace the butter with Nuttelex, and the milk with water. 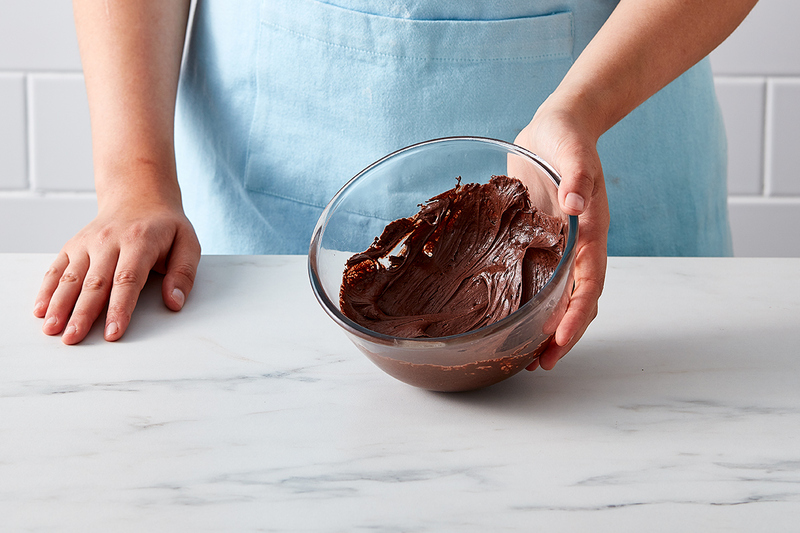 Using an electric handheld or stand mixer, beat the mixture for 2 minutes on medium in total. Pause at 60 seconds to scrape down the sides of the bowl. 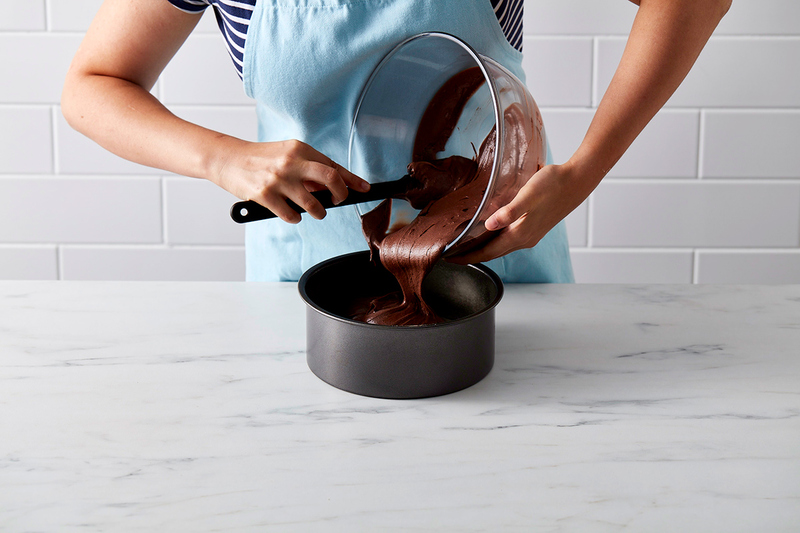 Once the mixture is smooth, glossy, and uniform in texture pour the batter into your prepared tin using a spatula to scape excess from the sides of your mixing bowl. Jiggle the tin slightly to make sure the batter covers the centre of the tin evenly and touches the sides. Cut a square of tin foil large enough to cover the surface of the tin. Now take this square and place it gently over the top of the tin. Loosely wrap the ends over the lip of the cake tin. You want the foil to be slightly domed in the centre so that when the cake rises, it doesn’t touch the foil cover. IMPORTANT: Covering your tin with foil should not be omitted as it ensures that the cake is evenly baked and prevents the surface from excessive cracking. Once your oven has reached temperature, place the foil-topped tin on the middle rack. Bake with the foil on for 50 minutes, then remove the foil cover and bake for an additional 10 minutes so the top of the cake can cook through and brown slightly. Once the additional 10 minutes has passed (total baking time is 60 minutes), place a skewer into the centre cake all the way down to the base of the tin to check it has cooked. The skewer should come out clean with no sticky crumbs or batter attached to it. If you do not have a skewer you can use a thin knife, or a bamboo kebab stick. If your cake needs longer, test it at 3-5 minute intervals from here until it is cooked through. Once your skewer comes out clean, remove the tin from the oven and place on a wire rack to cool. Turn off the oven and let the cake sit in its tin on the wire rack until the tin is cool to touch. Once cool, take a thin knife and scrape along the sides of the tin, so the cake will not stick to the sides. 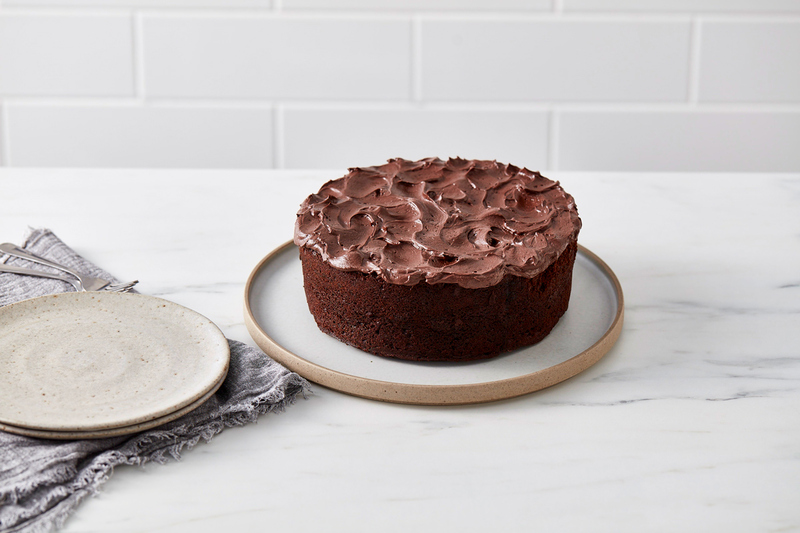 If you have a push bottom based tin, simply press upwards on the base of the tin whilst supporting the side with your other hand and lift the cake and base completely out of the tin. Then flip the wire rack so its face touches the top of the cake/tin. Holding everything together, invert the cake tin 180° so the cake tin is now upside down on the wire rack. Give a sharp shake so the cake will fall out. Flip the cake back onto its base using a wire rack if you wish to frost the top (we recommend frosting the top if your cake has more of a peak or domed shape). If using butter: using either a spoon or a fork, mash the frosting mix powder and softened (not melted) butter with the milk together till combined. When the powder is no longer loose you can begin mixing and no powder will be lost or fly out of the bowl. Spread the frosting on your completely cooled cake and decorate as desired.